Academic-Capital: Boxing as a Sport of Competition-Tips on Perseverance. Boxing as a Sport of Competition-Tips on Perseverance. I went to boxing today and no one that usually shows up to the class were there. So I got a private lesson for much less. The coach Jim, per this article, is a Golden Globe type boxer who was successful. Like a lot of young sports star his time came and past. Kind of a sad story but anyway that is the way we are as a society. If we need you we love you and if we don't need you, or your time has passed, we sort just move on. The money goes away, the respect goes away, and the fame goes away! Not that I was ever famous, but that this phenomenon occurs over and over in society. The smart people know how to take advantage of their "time" and use the resources to create something else with it. They build brands and companies with it. Anyway, Jim is a great boxer and loves to give tips. One of things I do wrong is that I put my elbows out too far. I learned today to simply keep them in so that I create the fastest connect between point A and B. If I learn to do this well I can sort of start using other forms as needed. Jim is also very fast. He can block nearly all of my punches without much effort. 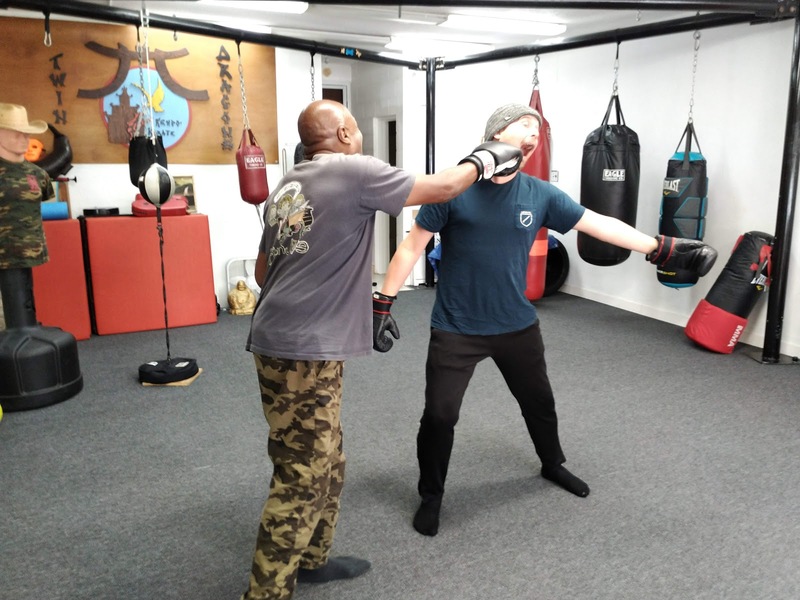 His eye has trained over the years to see the punch coming and use the lightest sort of tap to keep the punches from connecting. In boxing it is just a fraction of an inch that determines connect versus not connect.